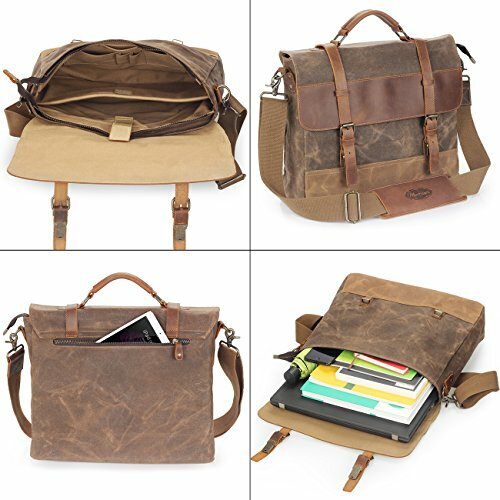 Made of crazy horse leather and durable canvas, This is a stylish messenger bag, perfect for both women and men. 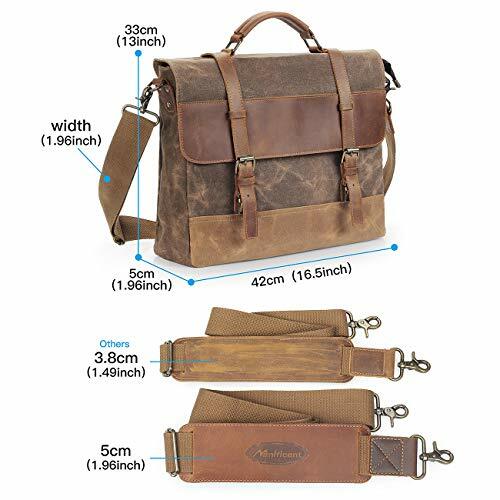 – Extended, Sturdy, reinforced, adjustable and detachable shoulder straps. 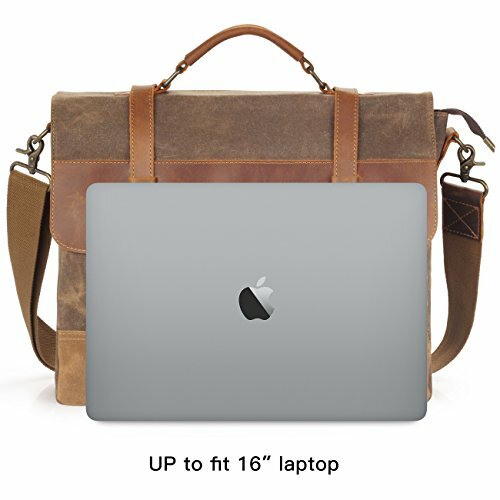 – Made of superior top cowhide ,a durable rugged heavy canvas fabric and sturdy hardware. – Geuine Thick Leather handle,detach the strap to be a professional business briefcase.Really conveneintly carry it around in 2 ways. – Solid and sturdy zippers featuring leather zipper puller to help you have a firm grip. 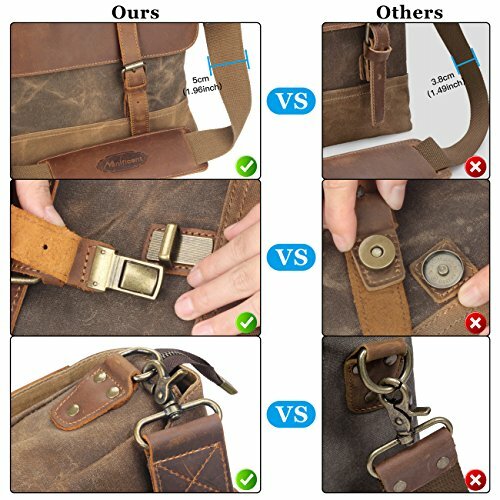 – Double secured by insert buckle and zippers that lead you a quick access into the pockets. – 1 x main compartment with zipper. 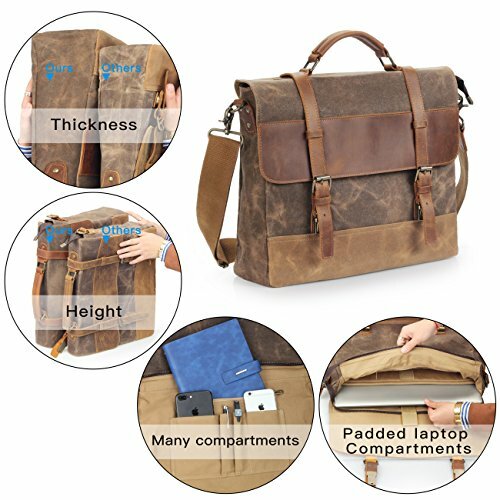 Keep laptop, tablet , documents, books more secure. – 1 x inner pocket with zipper. Keep passport. – 2 x inner slip pockets for pen. – 2 x bigger pockets for phone/card holder/small gadgets. 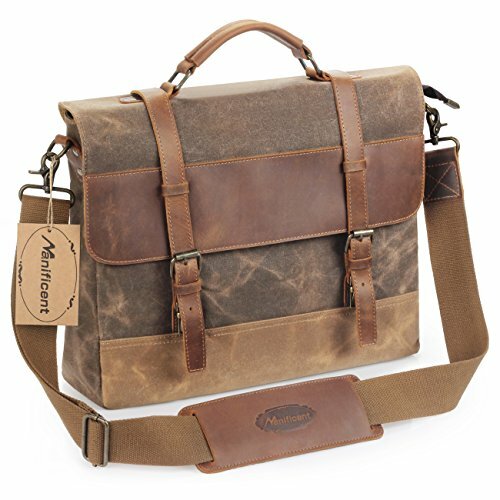 – Messenger bag:16.5″x 13″x 1.96″ (Lx H x W). 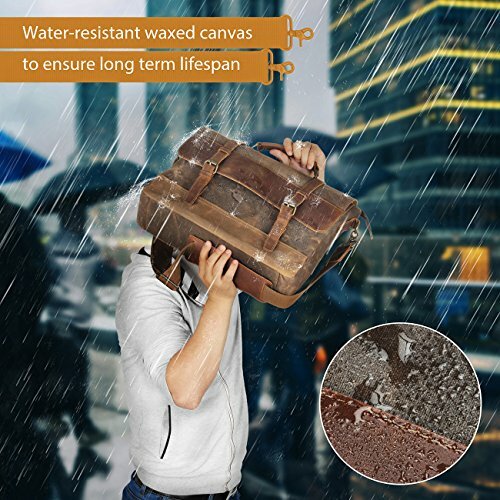 – 1.Apply cream or moisture lotion onto the leather surface,and use a soft cloth to complete the upkeep. .
– 2.Avoid cleaning products with alcohol, turpentine or other mineral spirits as they will discolor and dry out leather. – 3.You could use hair dryer to smooth it if you do not wanna the leather surface have disorderly wrinkles, scars, scratches.